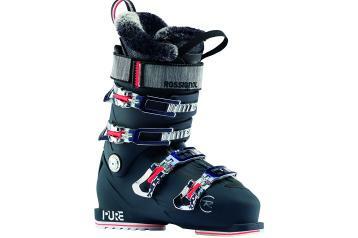 The 2018/2019 Rossignol Pure Elite 120 was tested in the women's All-Mountain narrow category at Silver Mountain Resort by the experts at America's Best Bootfitters, powered by Masterfit. 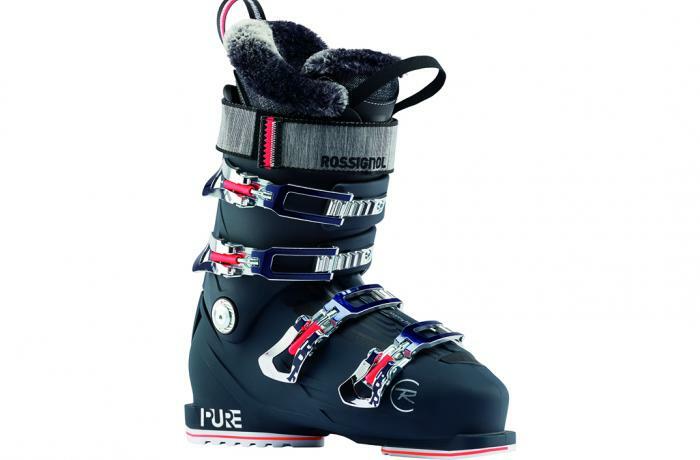 For the third year running, the 2019 Rossignol Pure Elite 120 was one of the 3 top-scoring boots for Edge Power and Stability in the women's All-Mountain narrow group, and once again reminded our test team why. Unchanged this season other than a new exterior paint job, the Pure Elite 120 garnered praise for its solid, stable 120-flex horsepower combined with its high comfort-quotient. One tester mentioned that this badass boot is camouflaged by fur. Testers agree it's one of the roomiest of the narrow category—borderline medium—with a tall and upright feeling cuff and a roomy toebox (length, width & height). A few of our low-volume testers successfully dropped down one size in this model. On the whole, testers don't mind the extra room, and they say that the anatomical shaping is spot-on for the human foot and leg. They all love the faux fur, and universally praise the evenly progressive flex feel, if firm, at a legit 120. 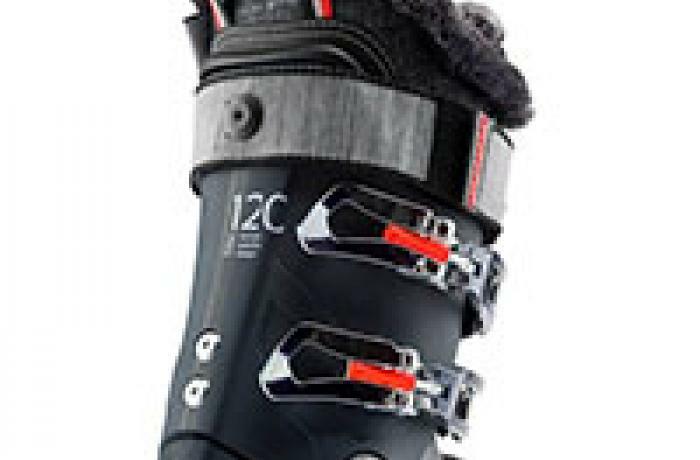 Our taller, more aggressive skiers loved the Elite 120's tall, upright and stiff cuff in their normal size—they had the long leg leverage to get over the top of this boot and uncork its raw power and quickness. So too, did the shorter testers who were able to size down and get a lower cuff fit. Average height and shorter testers who stuck with their normal size felt a little pushed back onto their heels by the cuff and commented that they wanted a little heel lift to help put them in the driver's seat. Every tester, to a woman, agreed this is one powerful and responsive ride. The fuzzy liner is made with Merino wool, so high warmth scores were not a figment of testers' imaginations. 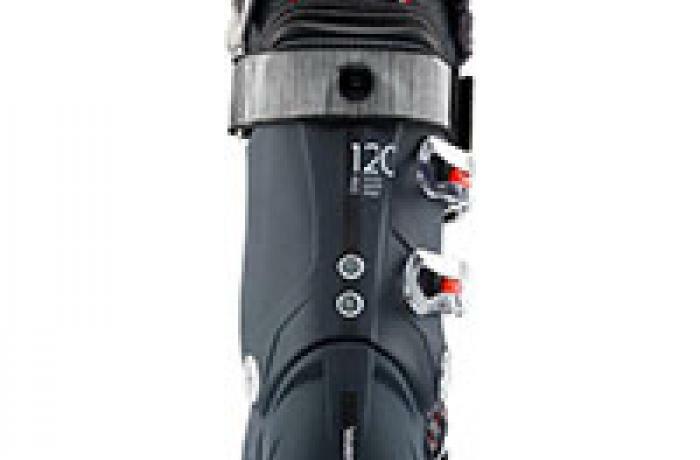 A set of GripWalk soles is available as an accessory (nice for walking, compatible with GripWalk bindings only).